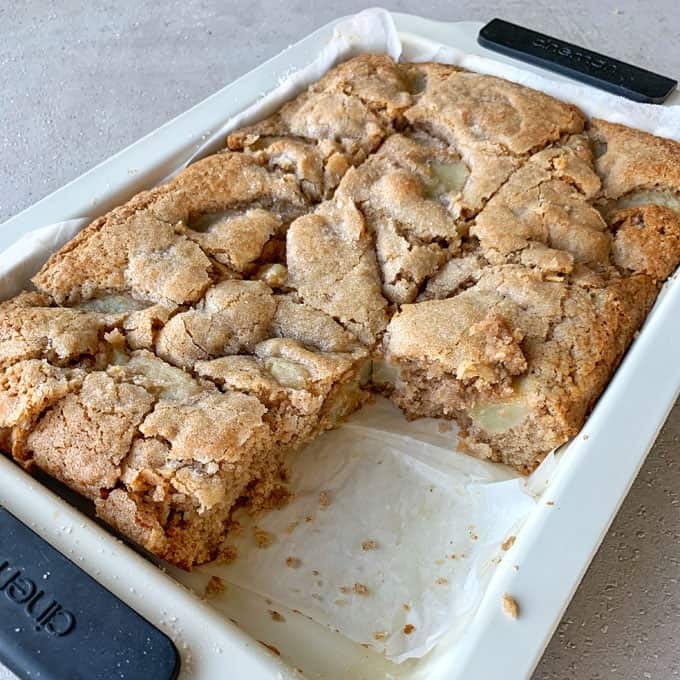 With its crumbly top and 5 ingredients, this Apple Pie Slice Recipe is Legendary and it gets rave reviews too! We have tried this Slice and love it and you will too. 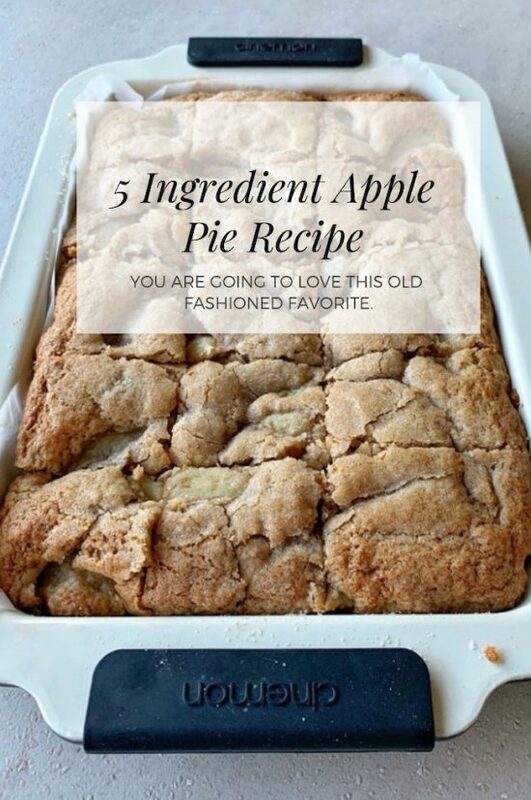 Are you an Apple Pie fan like us? We never tire of it and in fact, we have featured some of the best twists on this old family favorite. This one takes the cake! 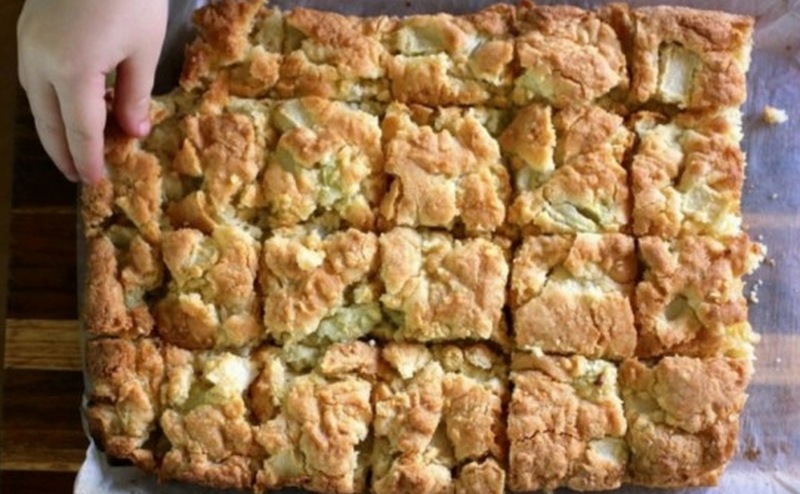 The Apple Pie Fries and the Apple Pie Cookies are just some of our favorites, as is this! 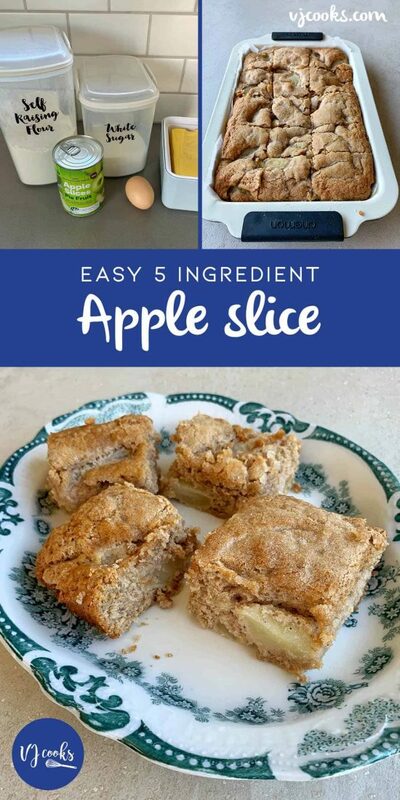 Today, we share this delicious 5 Ingredient Apple Pie Slice Recipe. It’s true when we say it is just like Nana used to make and one look at that wonderful crumbly top, you know it has that sought after texture and crunch that everyone loves. With only 5 Ingredients, this recipe takes just 15 minutes preparation. You then bake for 35 – 40 minutes. It will become a favorite and it’s a total crowd-pleaser. Be sure to use the above infographic from best dessert recipes to select the best apples. We made it recently and we can tell you it was a hit with everyone. It has the wonderful crunchy top that makes it perfect for serving with Cream, Ice Cream, or both! To say it’s delicious is an understatement. It will be your new go-to recipe. We initially found this awesome recipe on The Life Of Clare and shared with our Contributor Vanya of VJ Cooks. As a result, Vanya not only whipped it up, she created a video tutorial to show us all how. She did a fantastic job too. Bake 180 degrees for 35 – 40 mins.